The Regis Group is experienced with business taxes and keeps up to date on all current changes in the tax codes. Whether you have a sole proprietorship, LLC, corporation, S-corporation, or partnership, we can help with navigating the complex business of calculating and filing your business taxes. Income tax returns are just the beginning. We can help with all payroll taxes, as well as business privilege, sales, use, tire, and alcohol taxes. Our accounting services will maintain your business finacial records all year, or we will compile your prepared records for your return. We will also prepare the business owners' personal and family returns. In 2013, we prepared over 1,100 income tax returns for individuals and small businesses. We are an IRS-authorized e-File provider. All business tax returns are prepared or reviewed by a Certified Public Accountant (CPA). 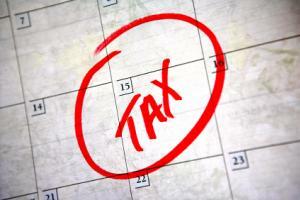 Our goal is always to minimize your business tax burden while following all local, state, and federal laws. You worry less, confident your financial records are accurate and on time. I run a small company, but the folks at Regis treat me like I’m Fortune 500.